From Monday 8. October 2018. Ignition Poker is starting a massive series called Mad Monday Tournaments. There will be $300.000 in guarantees, and two main events. The Main Event with $75.000 in guarantees and The Mini Main Event with $40.000 in guarantees. A buy-in for the first one will be $250 + $20 and for the Mini Main Event $35 + $3.50. 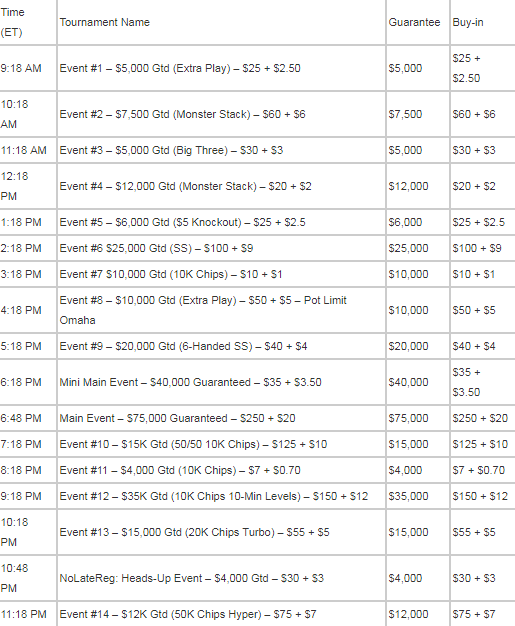 In just one day there will be 17 events with buy-ins ranging from just $7+$0.70 all the way up to $250+$20. Of course. you can take part in many satellites, which you can find with buy-ins starting from $1.10. Series starts with a first of the 17 tournaments starts on Mon 8. Oct at 9:18 a.m. ET, and continues until the final event begins at 11:18 p.m. ET. Join the Ignition Poker today and be ready for the next Monday! Are you looking for some great MTT action? Maybe you should check for Ignition Poker. 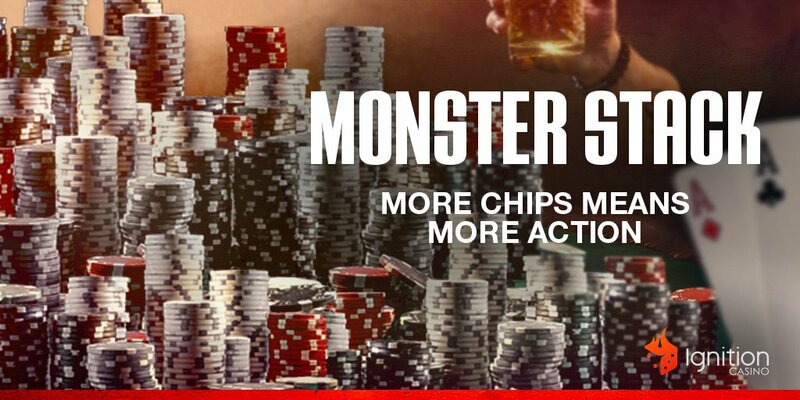 It brings three Monster Stack Tournaments every day. These great tournaments will start each with a stack of 15.000 chips. There will be three tournaments in the lobby every day. The first one starts at 8 a.m. ET with a buy-in of $27.50 ($25+$2.50). The 2nd one is with the same buy-in and starts at 7 p.m. ET. The third and the last one starts at 7.30 p.m. ET with a buy-in of $162 ($150+$12). If you find these buy-ins to expensive for your bankroll, you can take a part in some of the daily satellites. The buy-in for qualifiers starts with $3.85. If you are new at the Ignition Poker you have to take advantage of the $2.000 welcome bonus! You can see how the bonus works here. For all details visit our site and full offer review. Register today with YourPokerCash, grab all the benefits and start your winning on Ignition Poker.